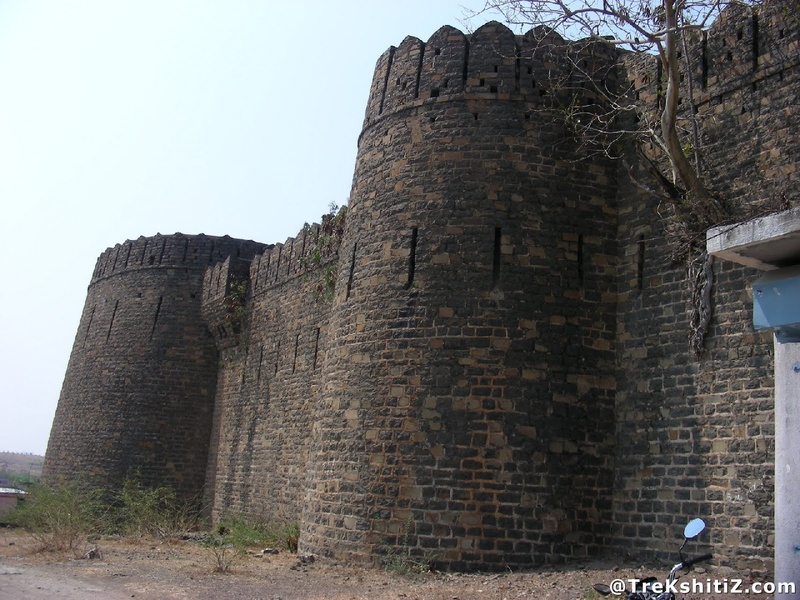 This tiny fort is located on a small hill in Piliv village on the Pandharpur - Satara highway. There are bastions on four corners of the fort and there are narrow windows (Jangyas) in the bastions and the fort wall. After entering from the main door one can find porches built in the door way for the gatekeepers. There is a structure opposite to the main entrance which is in a dilapidated condition. Within this structure on the right corner there is a room which is built below the bastion and has enclosed balconies which is supposed to be used for watch keeping purpose. Moving back towards the main entrance of the fort one comes across stairs to the left side leading on to the fort wall and further on the bastions. The bastions are of 12 meters spread and there are narrow doors and steps built in. The walls of the bastions have narrow windows and enclosed balconies built in to accommodate cannons. There is a small 4 feet long cannon on the middle bastion. There are hardly any traces of other structures and monuments. 106 kms from Satara, 40 kms from Pandharpur and 48 kms from Dahiwadi is Piliv village. The road to the left of Subhash Chowk takes us onto a hill where Piliv fort is located.